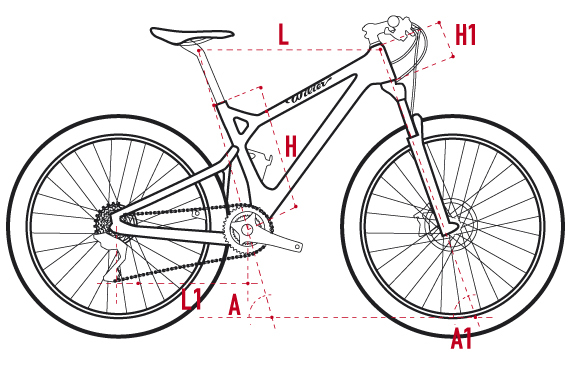 Wilier has racing in its DNA, which led them to create a light and fast hardtail MTB. The objective for the 101X Mountain Bike (Eagle XX1 - 2018) was to produce a cross-country MTB that utilises technology to deliver the best trail experience possible. The 101X Mountain Bike (Eagle XX1 - 2018) utilises a lot of technology from their road bike models like the Cento1 and Zero.7. With an asymetric rear, integrated cables, press fit bottom bracket, tapered headtube, 27.2mm seat tube, this balance carbon fibre hardtail has it all. Coming with a SRAM Eagle XX1 1x12-speed drivetrain and a Mavic Crossmax Elite wheelset, the Wilier 101X Mountain Bike (Eagle XX1 - 2018) tips the scales at approximately 10kgs. This lightweight hardtail is ready to blast the toughest trails.